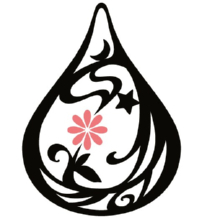 « 2010 A HAPPY NEW YEAR ! ZAKK, HEAL THE WORLD ! 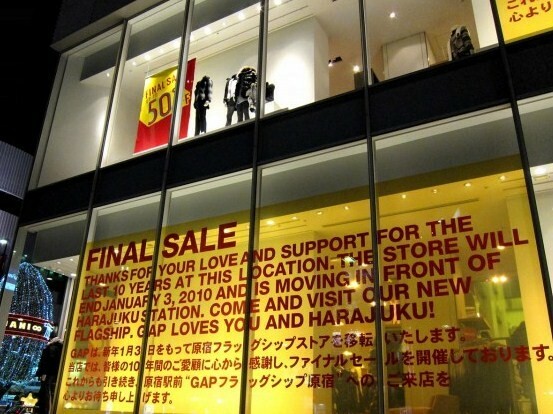 A month after opening their new flagship store directly opposite the Omotesando exit of Harajuku Station, Gap is closing their existing Meiji Dori flagship – a store that has been a Harajuku landmark since opening 10 years ago. 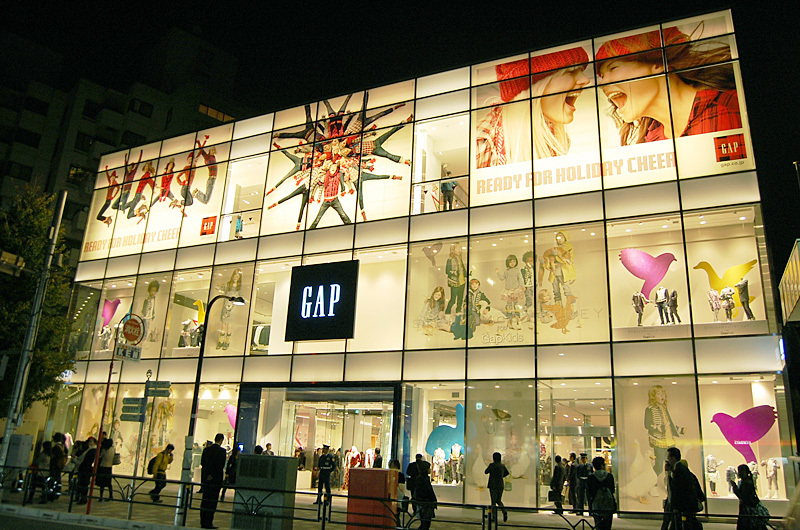 Gap, an American clothing retailer based in San Francisco, remains the largest specialty apparel retailer in the U.S., though it has recently been surpassed by the Spanish-based Zara as the world’s largest apparel retailer. 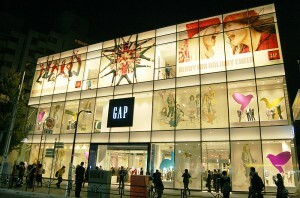 To celebrate the move, Gap shoppers are enjoying up to 50% off during the store’s “Final Sale”. The sale ends on January 3, 2010.